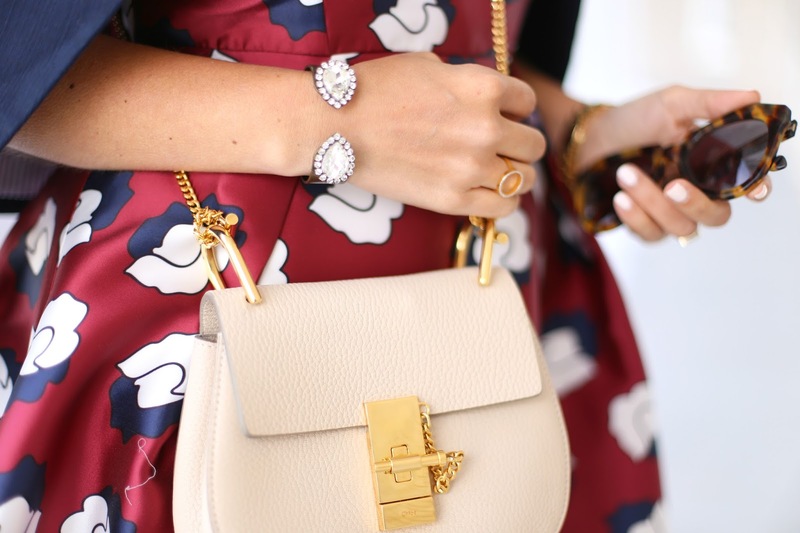 Looking incredibly chic and glamorous in this ladylike outfit! The pattern of your dress is top notch! Would have loved a pic without the jacket but lovely look, nonetheless! GORGEOUS!! I love how you styled this beautiful dress!! I'd love to know what lip color you're wearing; it's beautiful! Beautiful! I love the combo of prints and colors. The hair looks great too, the half up style is super chic and classic.